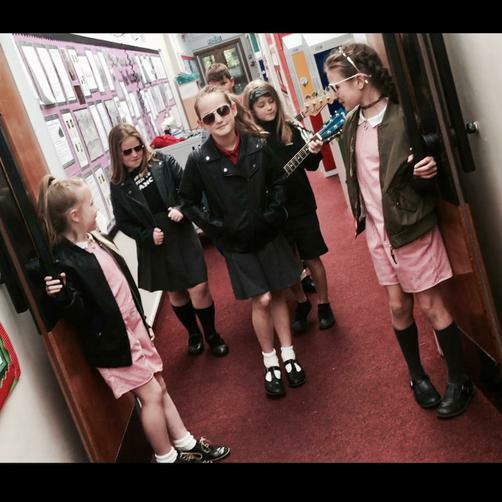 Our RockBandClub was born just over 3 years ago when the current Y4's wrote and starred in the excellent 'Playing On The Grass' when they were just tiny Y1's. 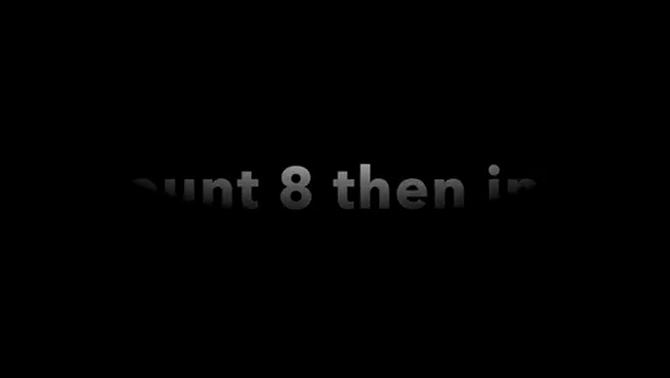 (videos at the bottom of this page). 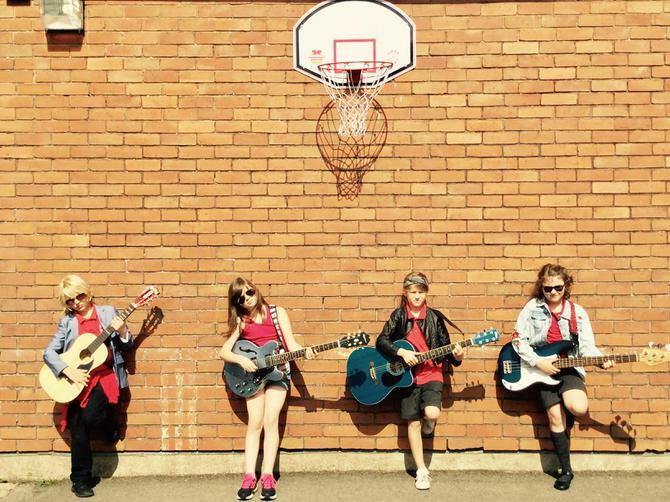 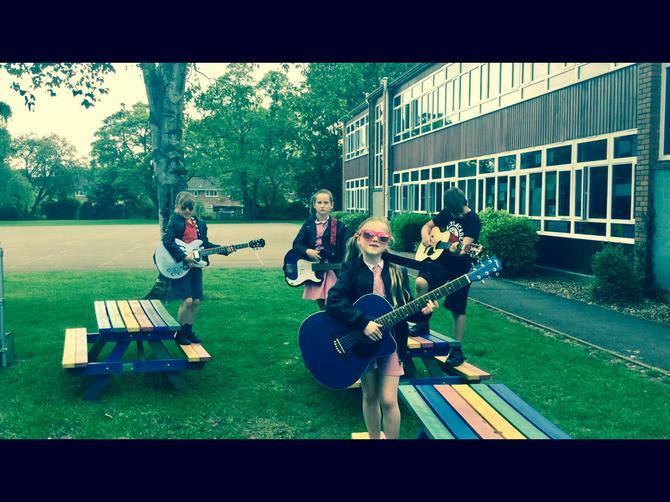 Since then each Year 4 class has had the opportunity to join the ROCKBAND/SONGWRITING extra curricular club. 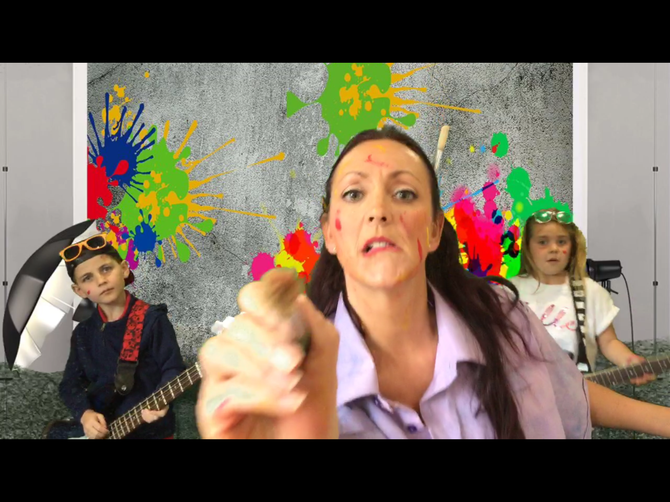 And with the help of Miss Barns and Mr Brains sons, Ben and Harry (both ex pupils), we have had great fun writing, performing, filming and making noise. 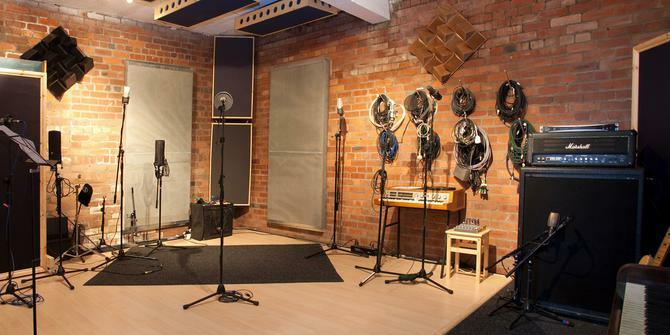 You can see and hear all our covers and original on this page. 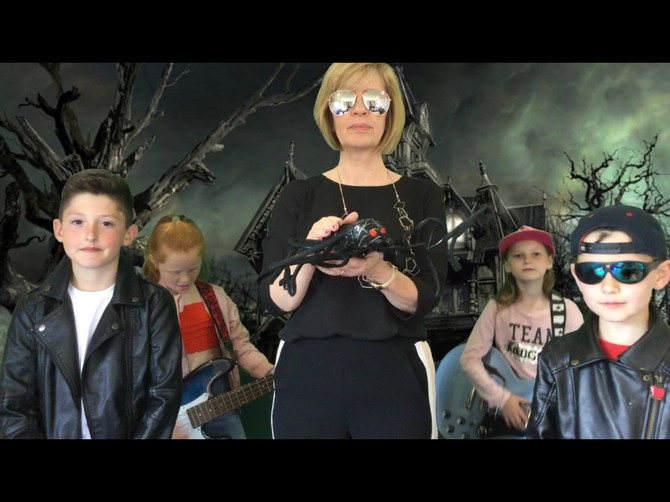 It was always going to be hard to beat last year’s song but the latest RockBandClub recruits have worked hard. 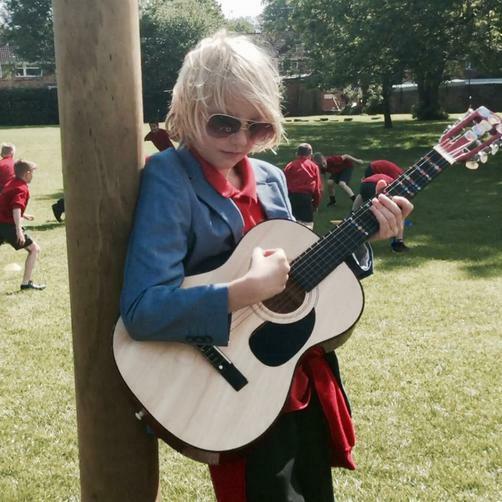 The children learned about song writing and structure and were asked to try and write their own. 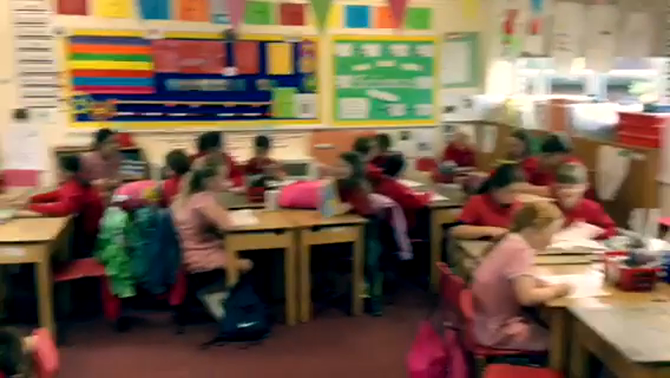 So when Henry brought in his lyrics for ‘Some Teachers’, we knew we had another excellent song. 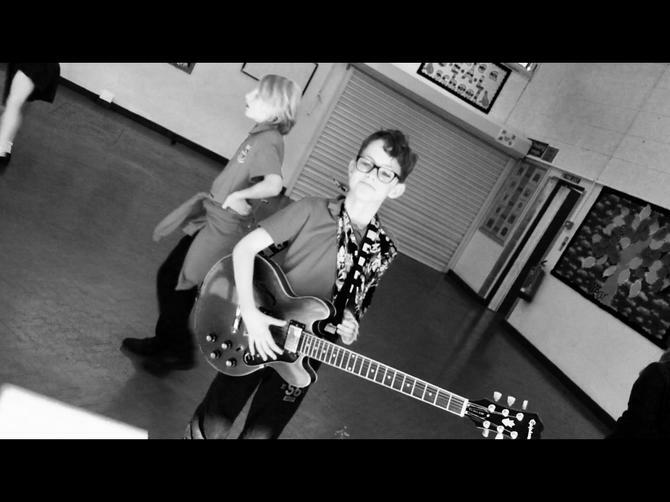 Backing track composed by Mr Brain with lead guitar by Harry Brain and bass by their band mate Lee. 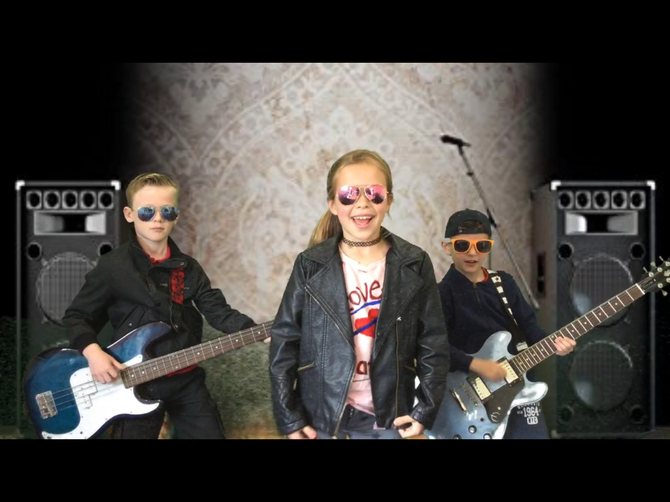 Video idea came from the RockBandClub with help from Ben Brain and was filmed using Green Screen technology. 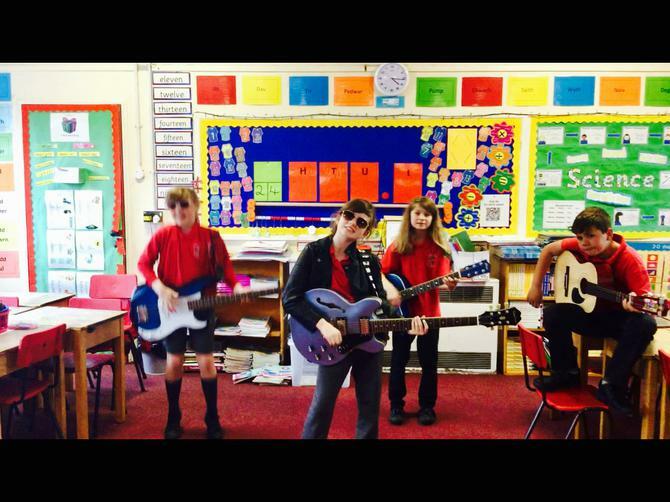 RockBandClub would like to say a big thanks to Ben and Harry Brain and Miss Barnes for all their help. 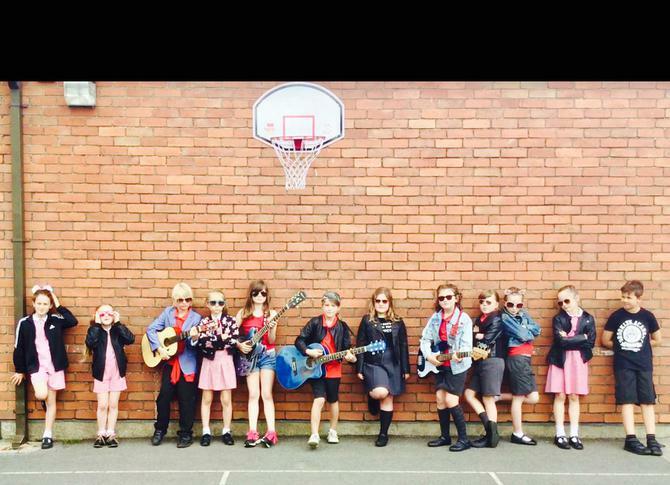 The Teachers for starring in our video and above all the AWESOME Miss Clark!!!! 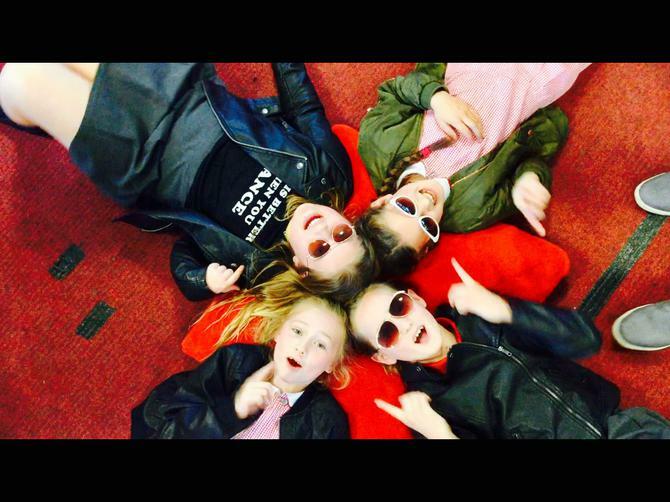 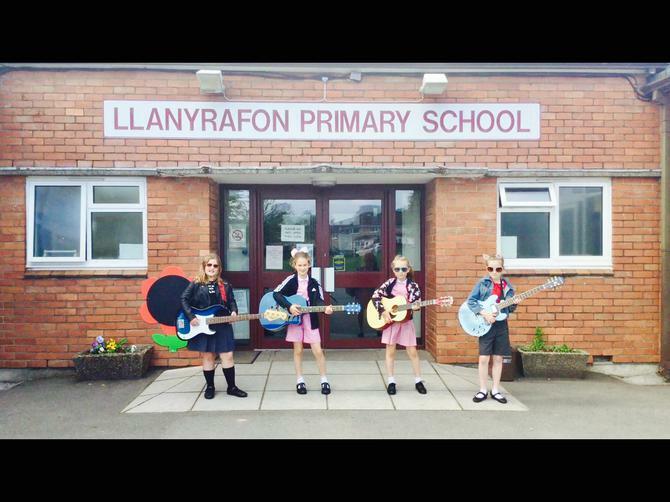 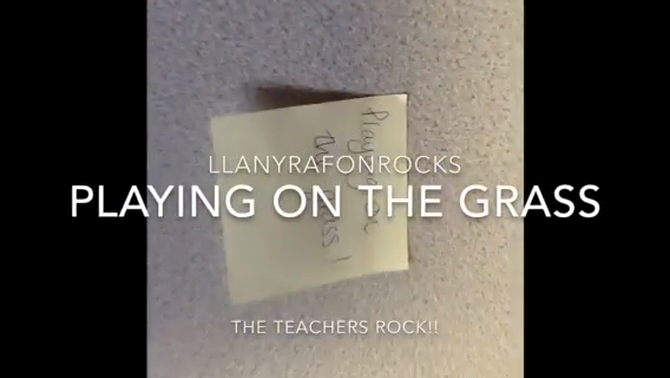 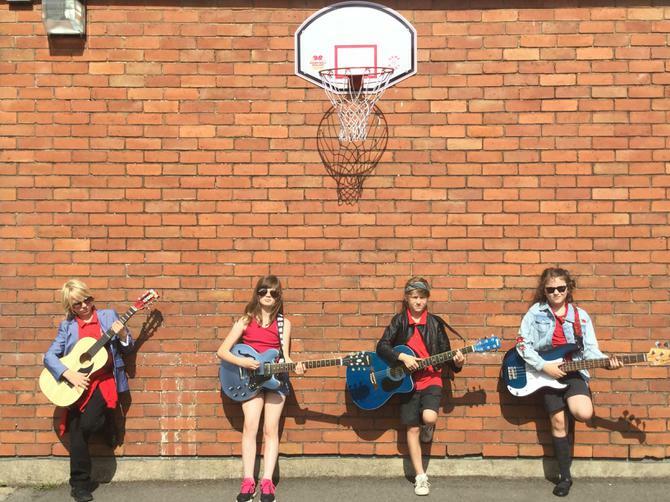 Written by LLANYRAFON primary's awesome RockBandClub (developed from the original idea by Mr Freebury and Izzy). 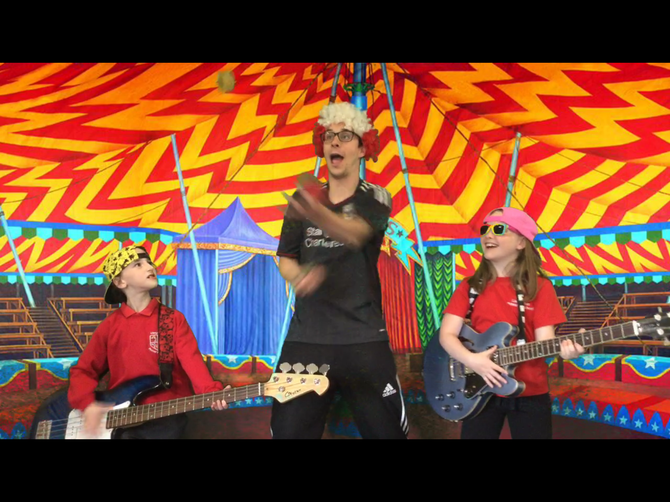 Backing Track produced by Mr Brain, performed by Harry Brain. 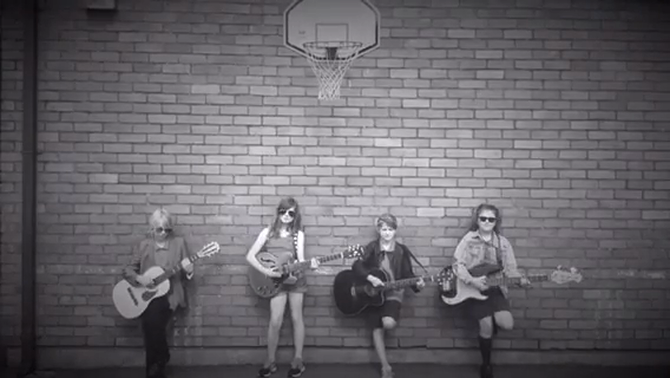 Video and Photography by Ben Brain and Mr Brain. 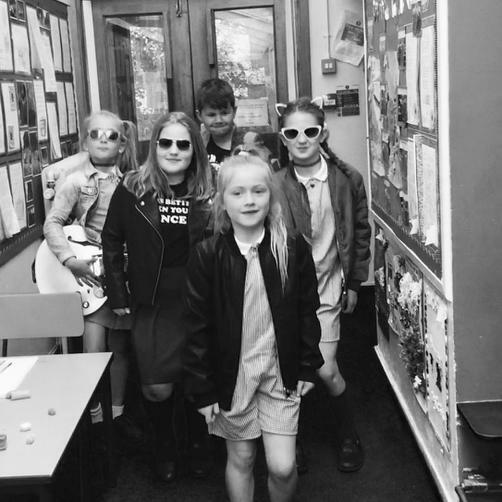 ISOBELL, GRACE, LYLA, LOWRI, ALICE, THEO, JAMES, ROWANNE, DANIEL, RUBY, AVA, EVIE, PHEOBE. 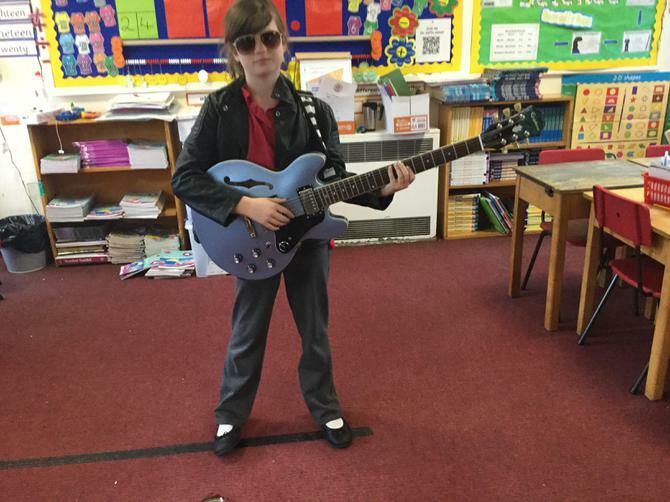 The children have worked very hard and have genuinely been amazing to work with and above all have fun with during our RockBandClub. 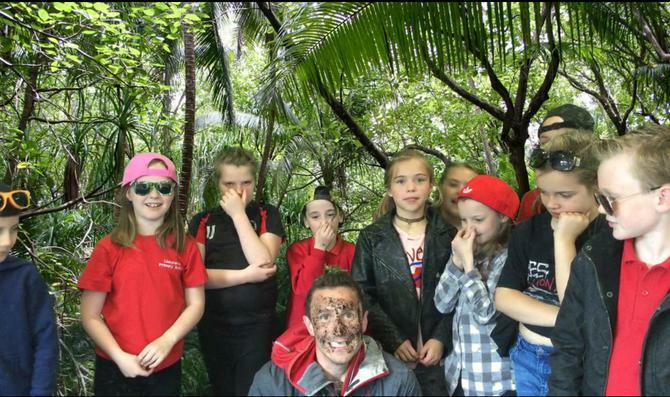 Also a big thank you to Harry and Ben Brain for their help all year. 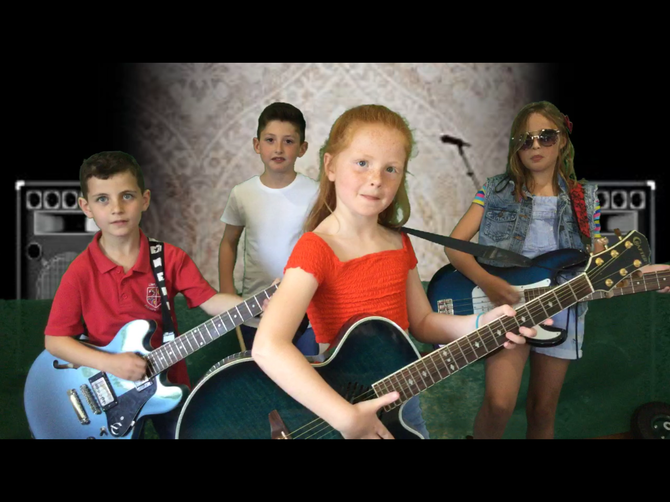 We are going to try and get our video viral......please share the link to this page so we get the traffic!